Microsoft has decided to kill its state-of-the-art, motion-sensing peripheral device – Kinect, which was introduced for its Xbox 360 and upgraded for its current game console – the Xbox One. According to two Microsoft executives – Xbox Devices Marketing General Manager Matthew Lapsen and device creator Alex Kipman, the company has indeed stopped producing the device. While retailers will no longer be able to attain the device through the company, Microsoft will still support the device for its Xbox users. As for the developer situation, that’s still unknown. Kinect was released in November 2010 and was a bit hit. Within four months, the company had sold over 10 million units, which set a Guinness World Record for being the fastest selling consumer electronics device to do so. The company sold roughly 35 million units worldwide since that time. 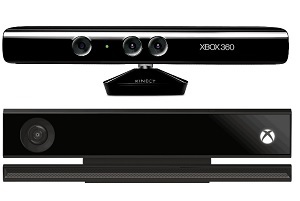 Kinect was designed to allow consumers to use their bodies as game controllers. The device would track objects and sense their movements in a 3D space. However, many of the early devices were sold to hardware hackers and developers who had their own ideas for the device. Not long after it hit the market, users were able to use an open-source driver to connect the device to their PC. This allowed a plethora of projects such as 3D scanners and self-guided robots to be created. In the beginning, the company was less than thrilled about those project and even proceeded with legal warnings. However, it embraced the development and permitted the release of developer tools to help people to come up with Kinect-enabled apps and systems. For its own contribution, it developed a Kinect for Windows in 2012, which is stopped doing in 2015. In November 2013, controversy ensued over the upgraded version with the Xbox One. The Xbox One with Kinect sold for $499 while Sony’s PlayStation 4 was selling for $399. That device became the leader in the game console wars. Since the PS4 hit the market in November 2013, it has sold more than 60 million devices around the world. Microsoft does not give reports of its Xbox One device anymore, but it’s suspected that the sales are around 31 million units. In May 2014, Microsoft lowered its Xbox One/Kinect combo to match the PS4’s $399 price. Posted by News on Oct 29 2017. Filed under Business, Featured, New, Sci/Tech. You can follow any responses to this entry through the RSS 2.0. Both comments and pings are currently closed.